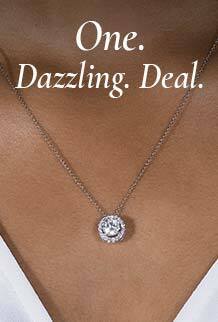 Featuring expertly faceted round cut moissanite, 6.5mm. Total Diamond Equivalent Weight (DEW) 2.00 carats. Enchantingly simple, delightfully stylish. These round cut Forever One studs are cradled in 14K gold claws. Elegance for every day.